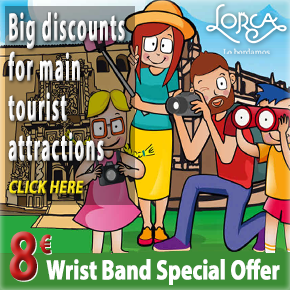 The Casa Consistorial is the name given in Lorca to the main Town Hall building, which stands at one end of the Plaza de España in the city centre almost opposite the former Collegiate Church of San Patricio. In the past the building which stood on this spot was the Royal Prison of Lorca, built in 1520, but it was badly damaged by an earthquake in 1674 and a reconstruction project was carried out over the next four years in the Renaissance style, overseen by Alfonso Ortiz de la Jara. 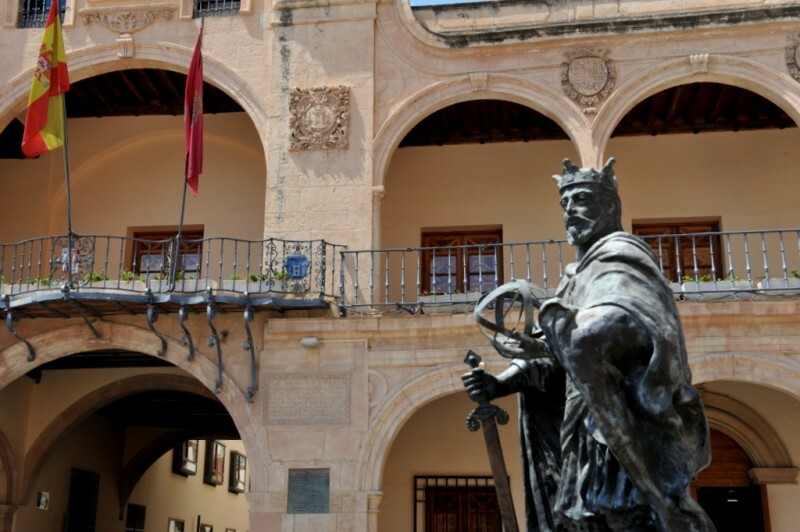 At first only a small part of the building was reserved for meetings of the Concejo, the council which was in charge of local administration in Lorca during the Middle Ages, but gradually the roles were reversed and by 1740 the whole building was devoted to the business of government. It was at this point that the impressive wrought iron railings were added to the balcony. The façade of the Casa Consistorial features an arched cloister at ground level and a similar balcony on the first floor, both of them supported by slender marble columns, while the arch which crowns the building is home to statues on either side representing the figures of Justice and Charity. 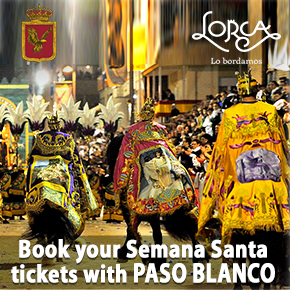 They flank a relief of San José, who in the eyes of the architect defined the father-figure role of local government in Lorca in the seventeenth century. The central arch on the ground floor provides access from the square to Calle Selgas, and at the point of each arch is a coat of arms representing either the Spanish Crown or the city of Lorca: these were carved by Antonio Caro El Viejo and his nephew, Manuel Caro. The overall effect is one of a building which is stylish and elegant without being overly imposing, and is has remained home to the local government for almost three and a half centuries. Inside, the most impressive room is the council chamber, which is decorated with oil paintings by Miguel Muñoz de Córdoba dating from around 1722. These show the main battles and armed conflicts in which Lorca has been involved in the past, while the chapel of the Concejo contains a figure representing the Inmaculada which is attributed to Pedro de Mena. 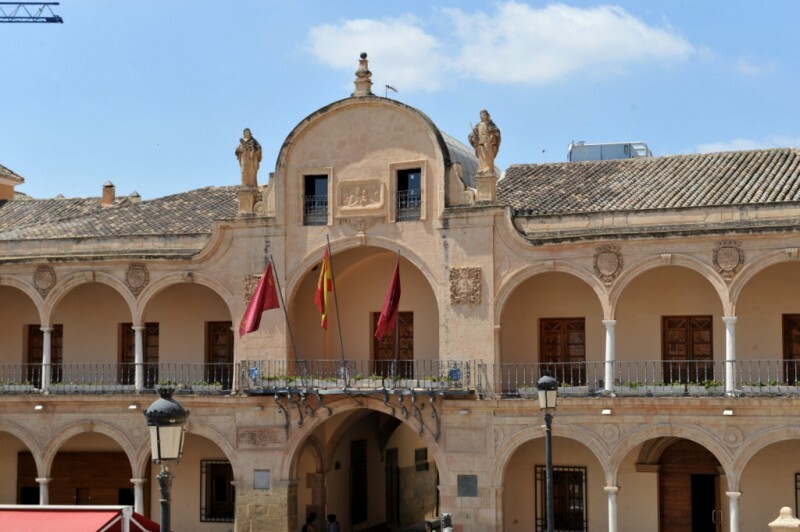 Nowadays it should be pointed out that by no means all of the Town Hall departments in Lorca are located inside the Casa Consistorial and its annexes, but this remains the centre of the local government. 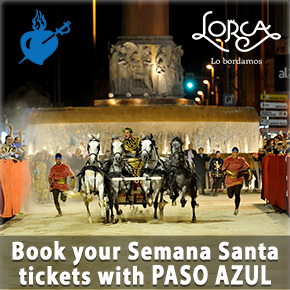 The Town Hall switchboard number is 968 479700, and initial enquiries should be made here, in person in the Plaza de España or via the Town Hall website. 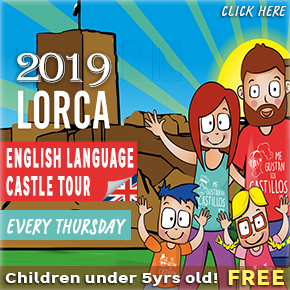 Further information at the Lorca tourist information office (telephone 968 441914, also in the Plaza de España) or click here to see full information about the options for visiting Lorca as well as cultural agenda and opening hours.